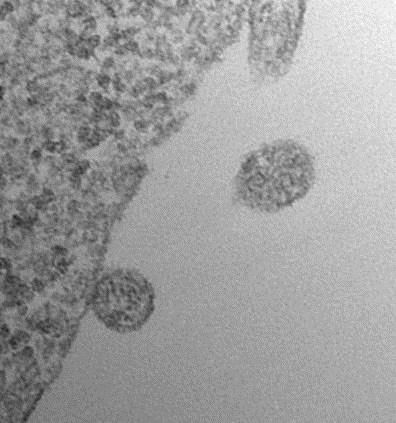 The 2015 Annual Meeting of the International Society for Extracellular Vesicles (ISEV) (http://www.isevmeeting.org/), with a special focus on exosomes, is being held this year in Washington, D.C., and will run from Thursday, April 23, through Sunday, April 26. The official meeting will be kicked off with plenary session addresses by NIH Director Francis Collins, M.D., Ph.D., and 2013 Nobel Laureate James Rothman, Ph.D., on Thursday morning. But before the official opening, the ISEV typically holds an Education Day, particularly for graduate students and those relatively new to the field, in order to bring them up to date on the history and also the latest developments in this fascinating fast-moving-field with so many major implications for clinical and myriad other biological applications. This year’s Education Day was organized jointly by Dr. Ken Witwer for the ISEV and Dr. Christopher Austen, Director of the NIH National Center for Advancing Translational Sciences, and was co-hosted by the ISEV and the NIH Extracellular RNA Communication Consortium (ERCC). The event was a huge success with approximately 400-500 attendees from all over the world completely filling the amphitheater for the entire day to hear many of the major leaders in this exploding field describing exosome history, recent advances, and also critical needs for increased standardization in work done to isolate and characterize exosomes. Included among the many fascinating talks was one by Dr. Yong Song Gho, from Pohang University in South Korea, a world leader on the cargo loading of vesicles, who spoke on the potential role of extracellular RNA (exRNA) in extracellular vesicle (EV)-mediated intercellular communication networks.